Our office will be closed Wednesday, April 24th, 2019 from 11:00AM-1:00PM for Administrative Professionals Day. We apologize for any inconvenience. COME TO OUR ANNUAL MEETING - MAY 11, 2019 9:30 AM - LOCATED AT THE FIRE HOUSE IN FRANKIN, NY. YOU WILL HAVE A CHANCE TO WIN GREAT DOOR PRIZES, INCLUDING TWO LOAN SPECIALS! PLEASE RSVP TO LET US KNOW HOW MANY WILL BE ATTENDING!! HOPE TO SEE YOU THERE!! Introducing the SecurLOCK Equip App! The SecurLOCK Equip App allows our cardholders to turn their cards on and off for access control and to establish alerts and controls for their cards. As always we are happy to assist with card issues, such as travel advisories, by having members contact the office directly. Spring Refresh Signature Loan Special! Time to replace electronics, furniture, tools, or appliances? Need to freshen up areas of your house? 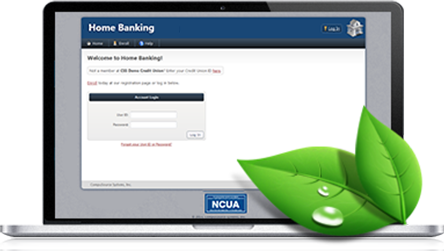 Get 1.00% APR OFF current Unsecured Loan Rates! Come one come all! Chen-Del-O is sponsoring a community Shred It Day! corner of state RTE 357 and county RTE 21 in Franklin. Check out our competitive loan rates!